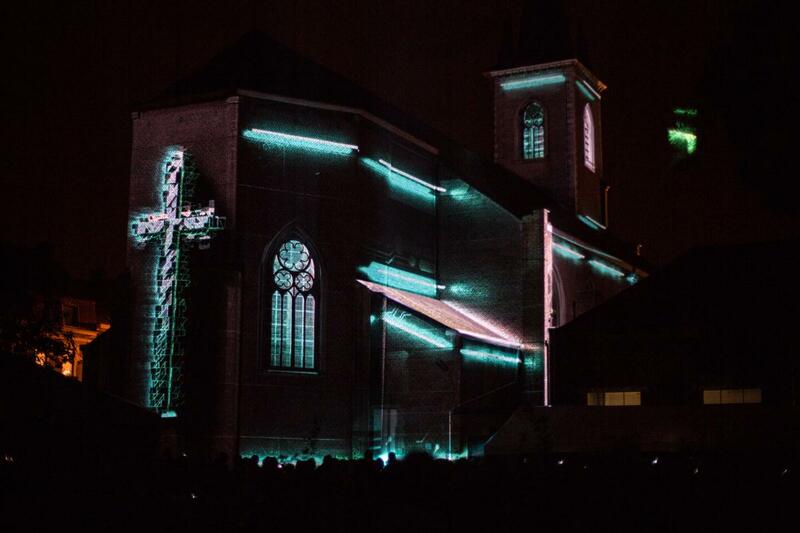 We have been invited to participate to the ninth edition of the PacRock Festival in Pont-à-Celles (Belgium). 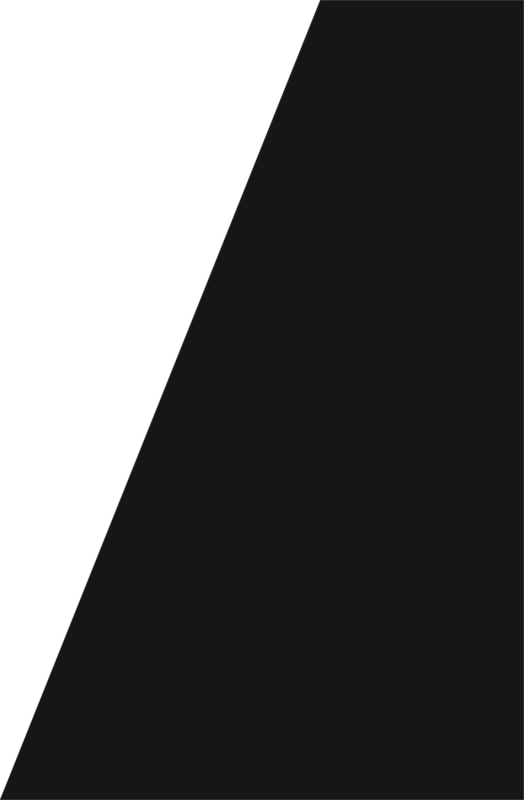 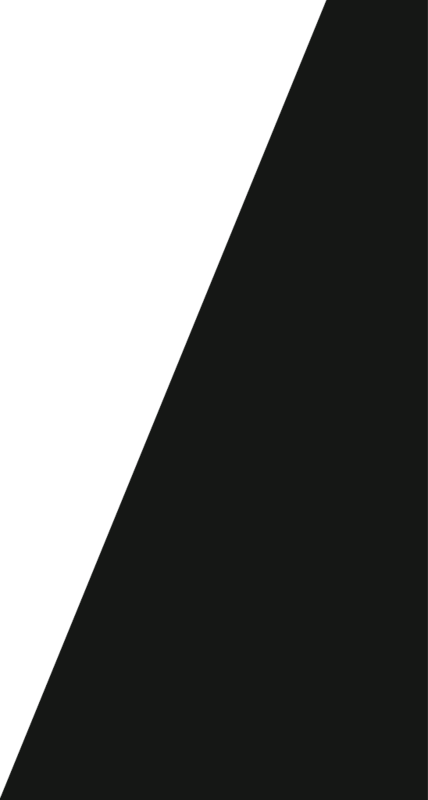 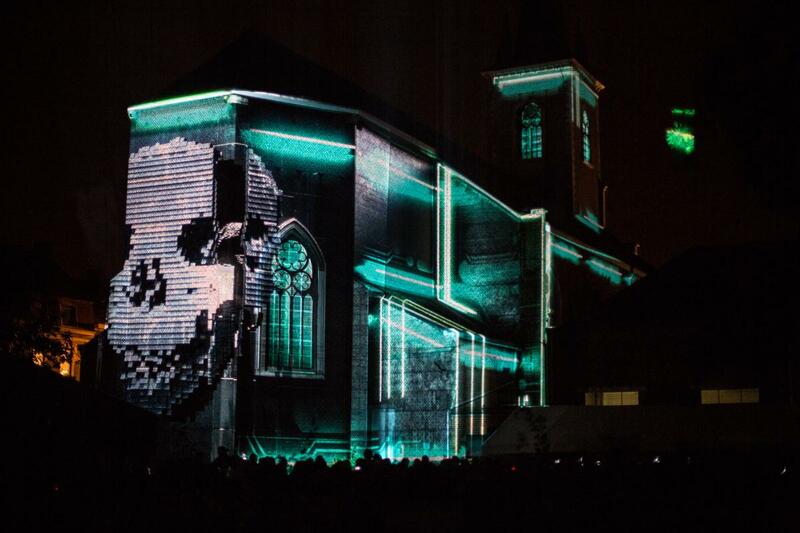 In the context of this event designed for young public, we proposed an artistic performance (video mapping) on the themes of Japanese mangas and video games. 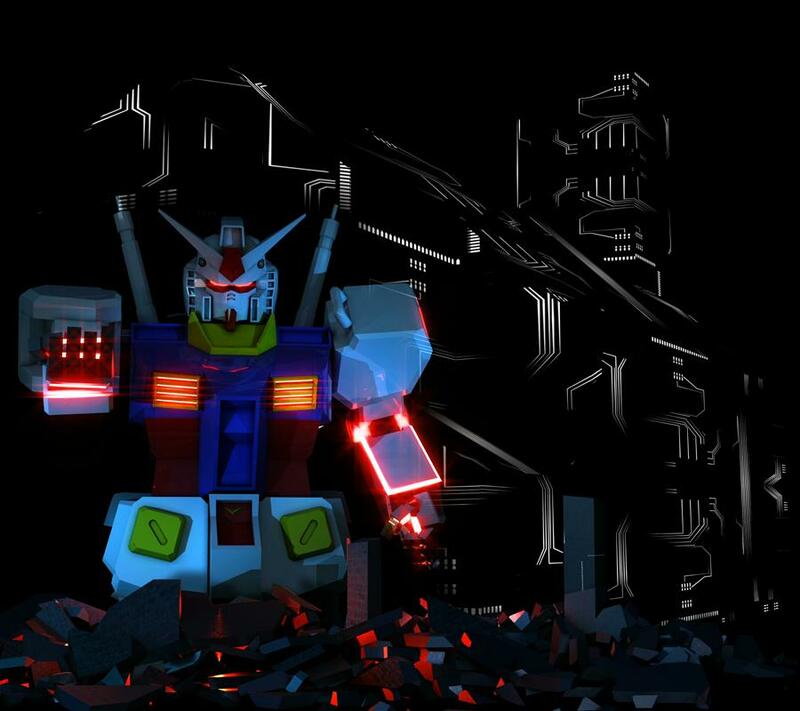 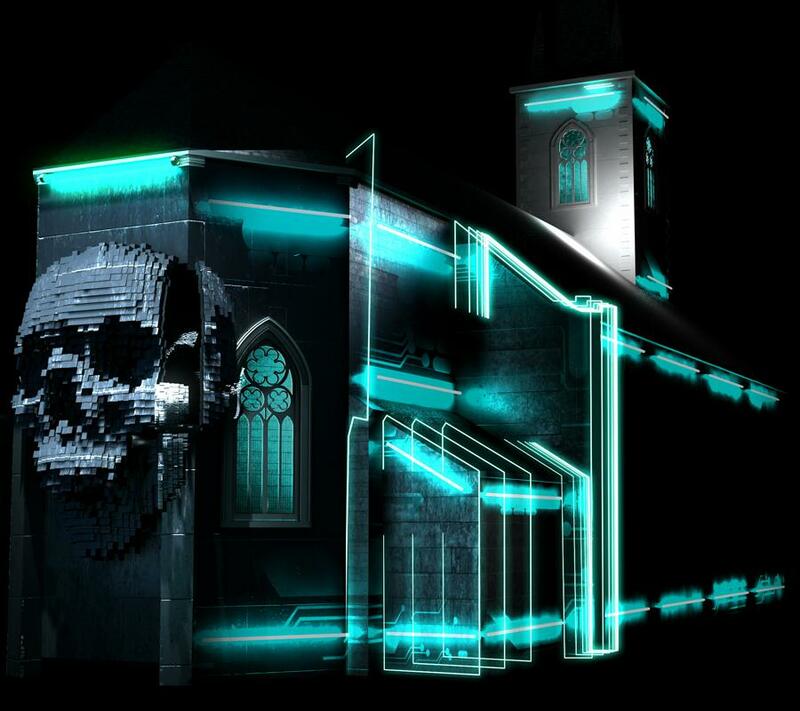 Robots, skulls and water flows were present, all on electronic music for a very quirky result. 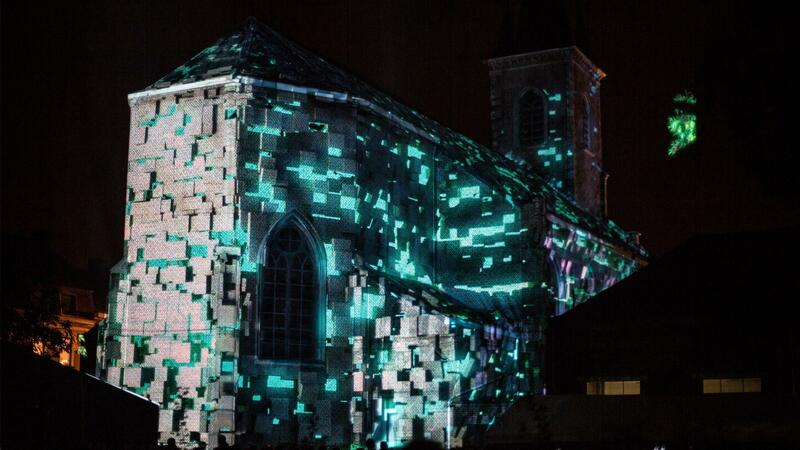 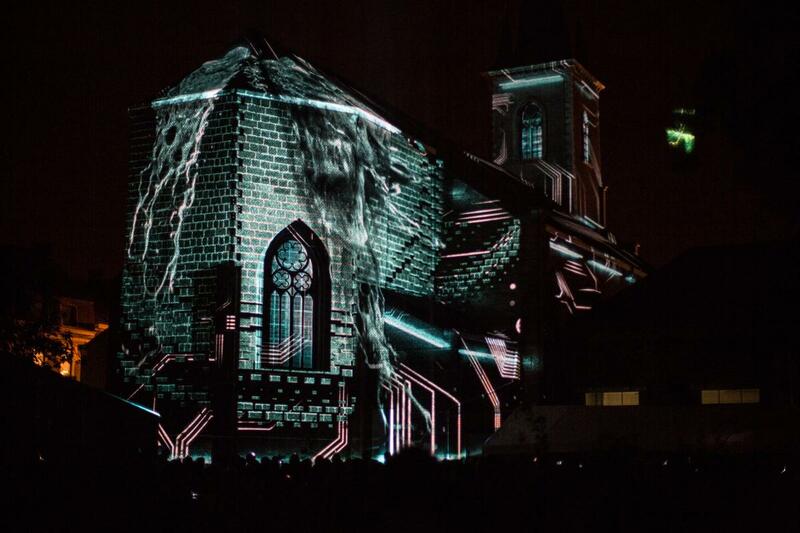 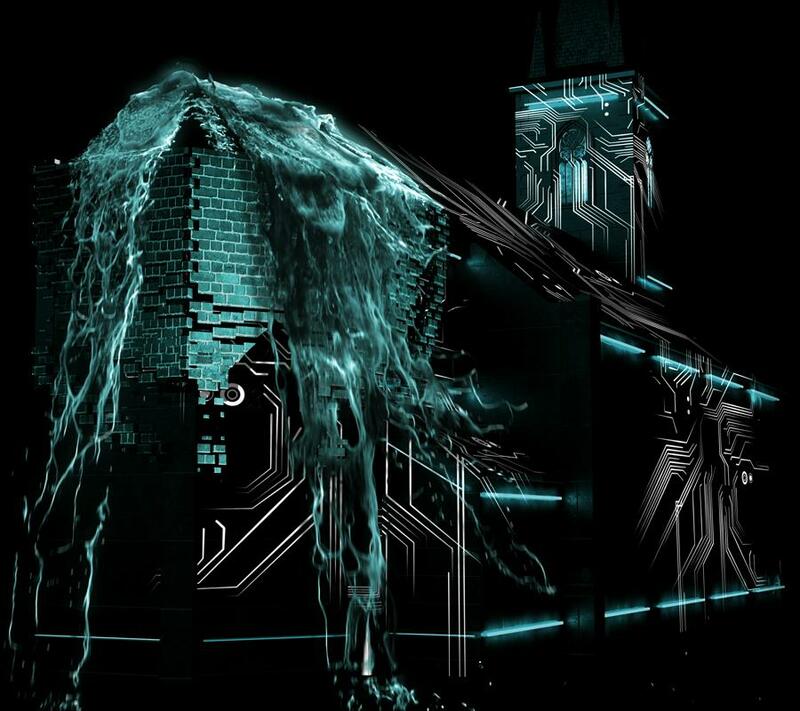 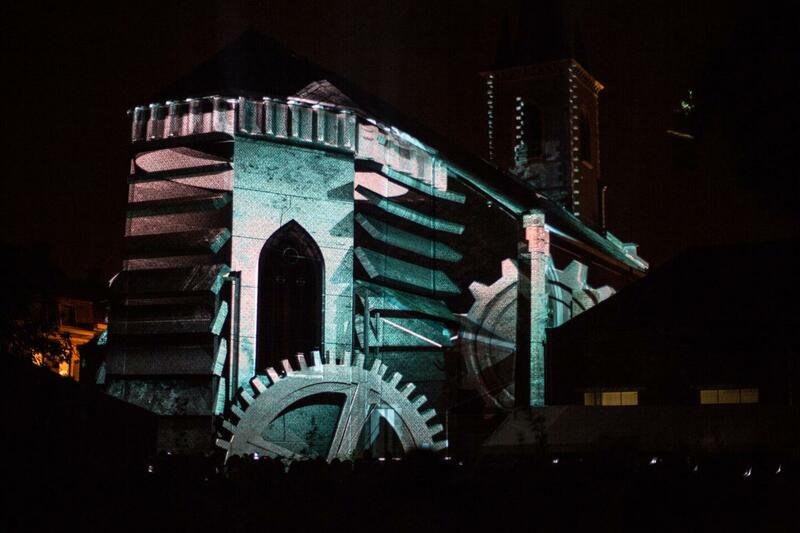 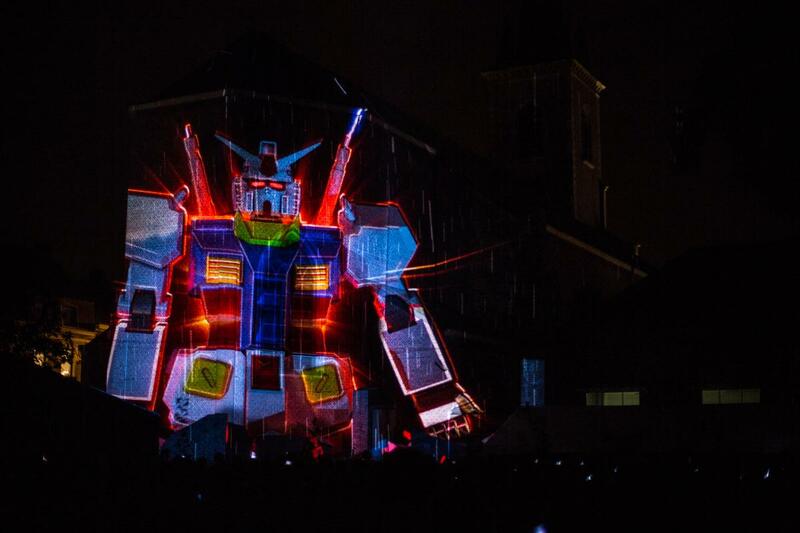 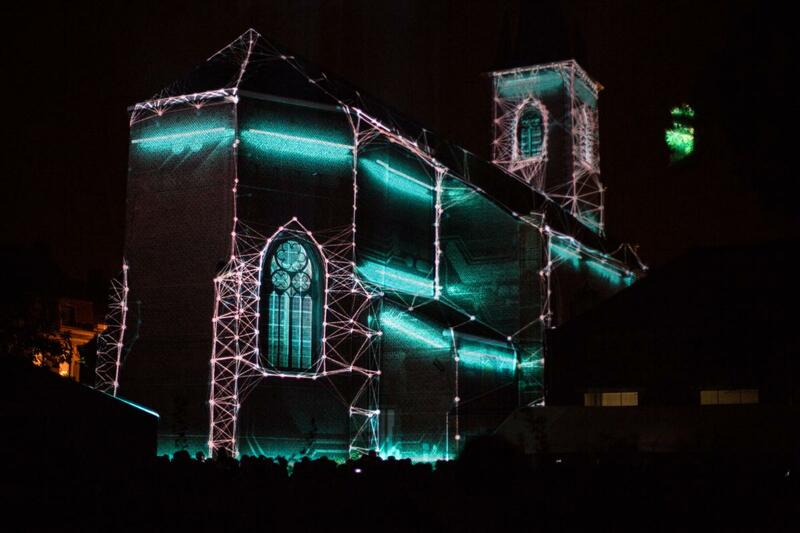 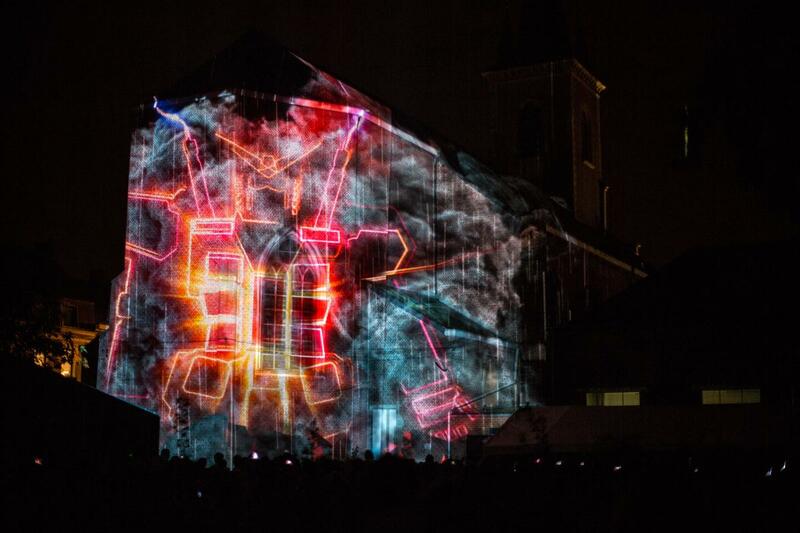 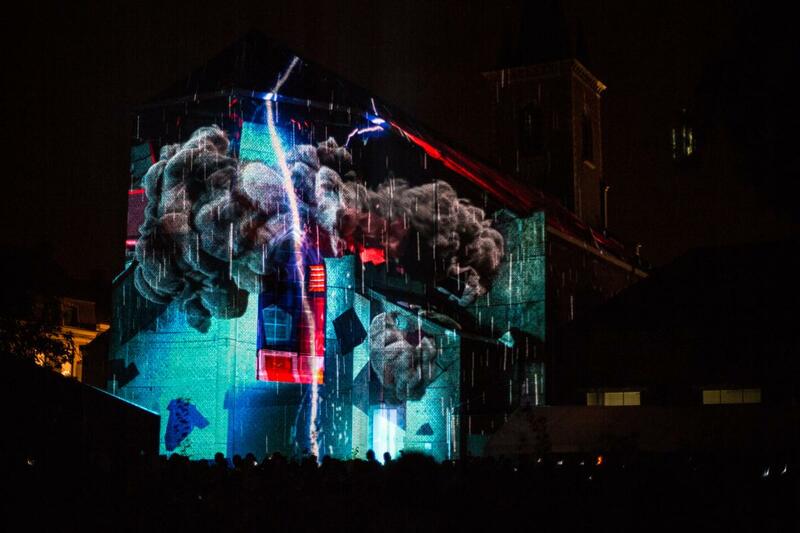 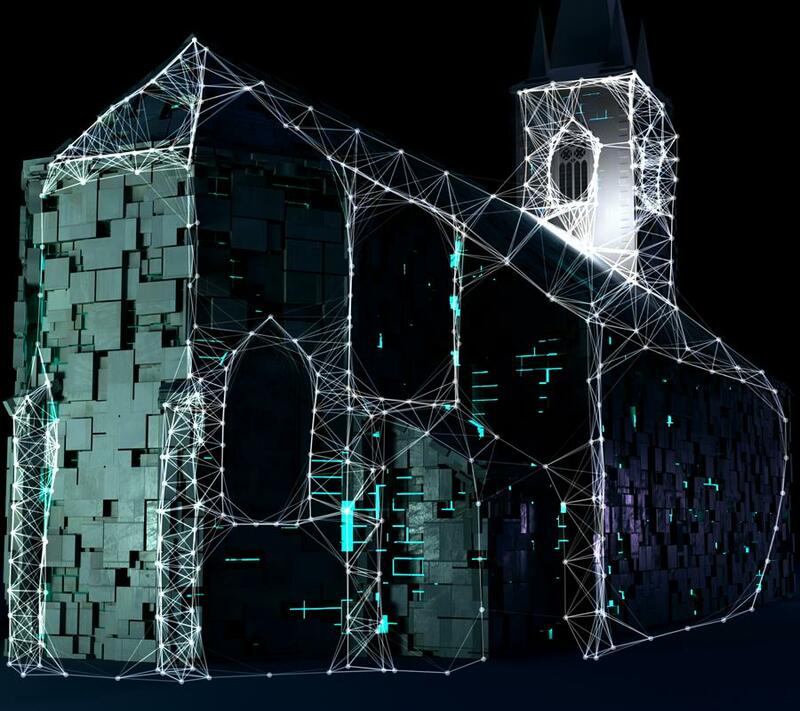 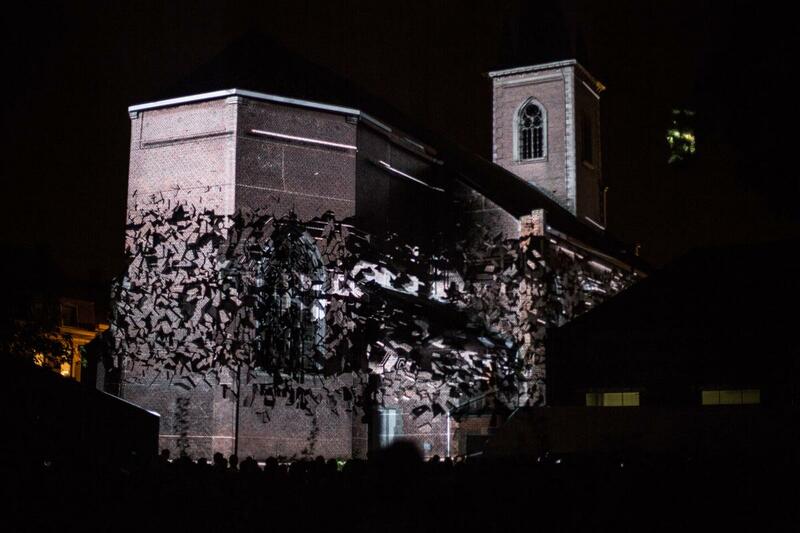 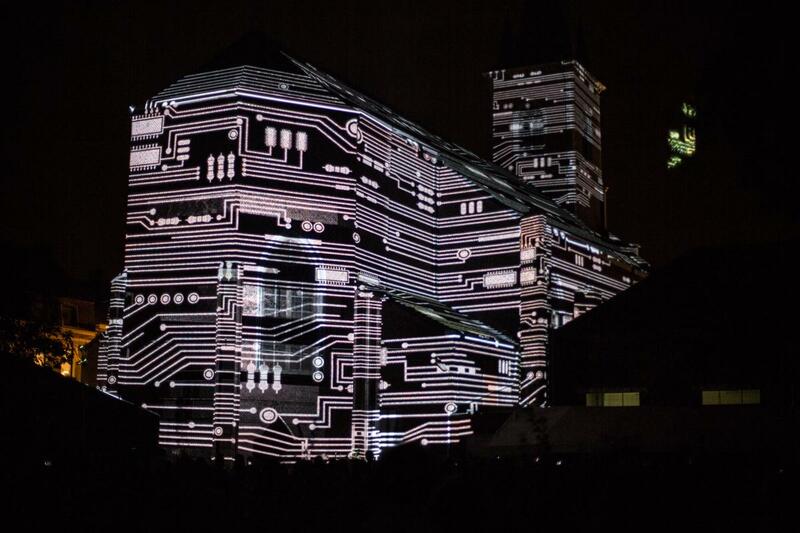 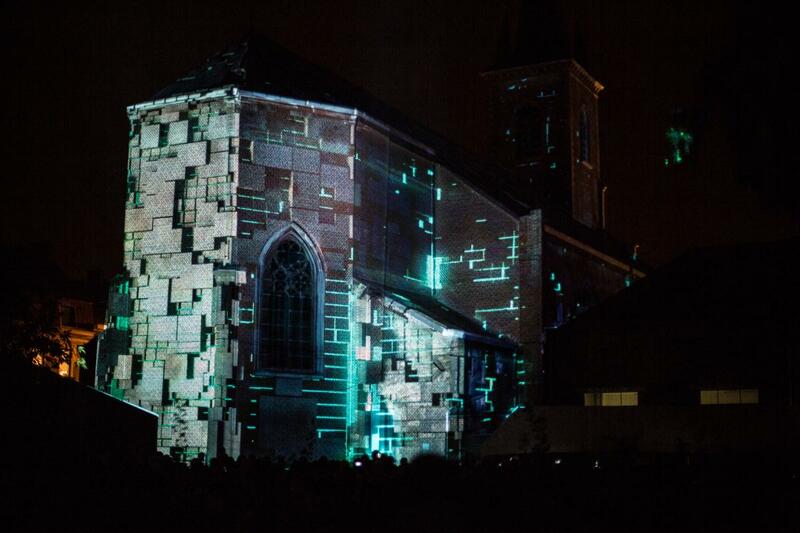 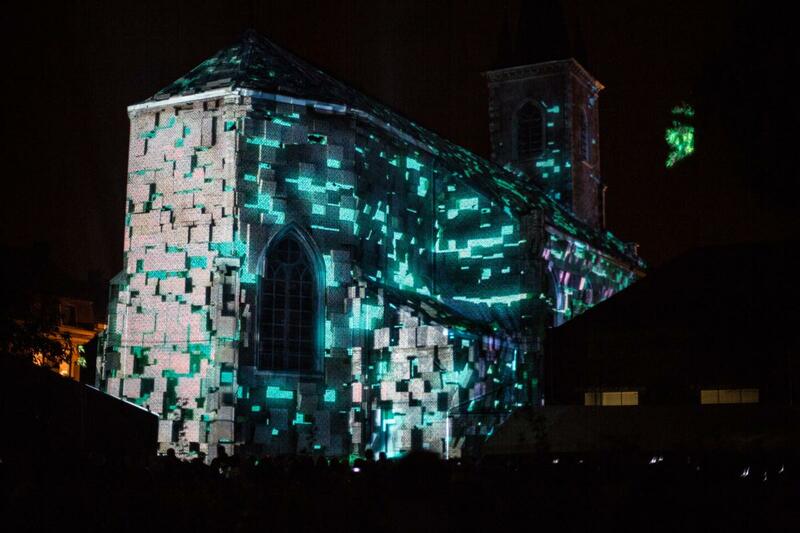 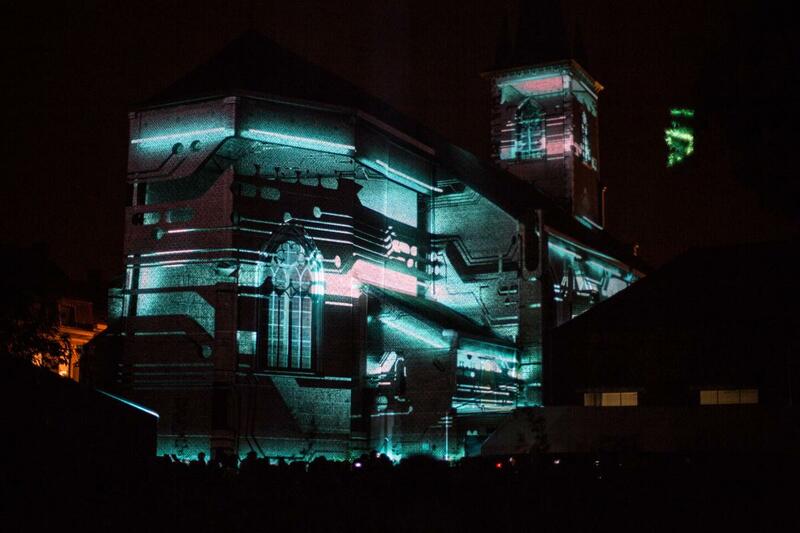 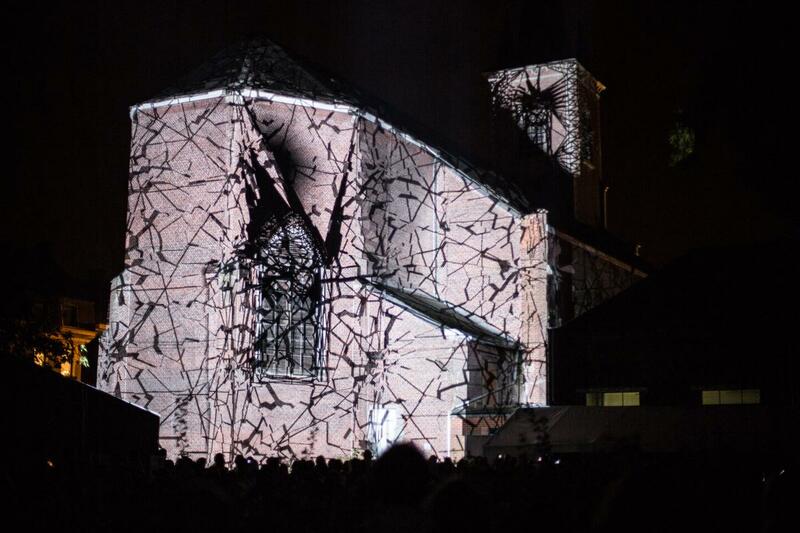 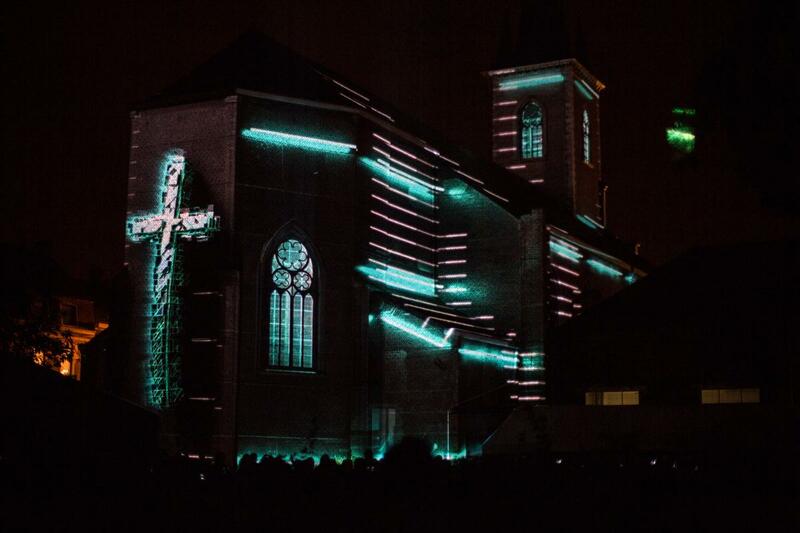 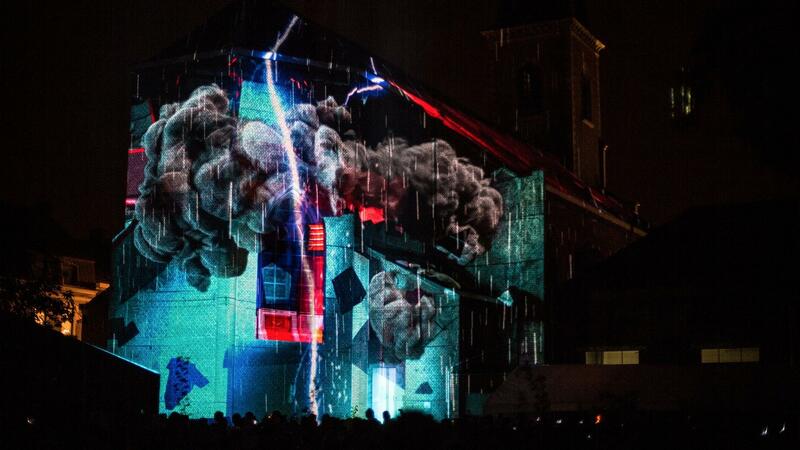 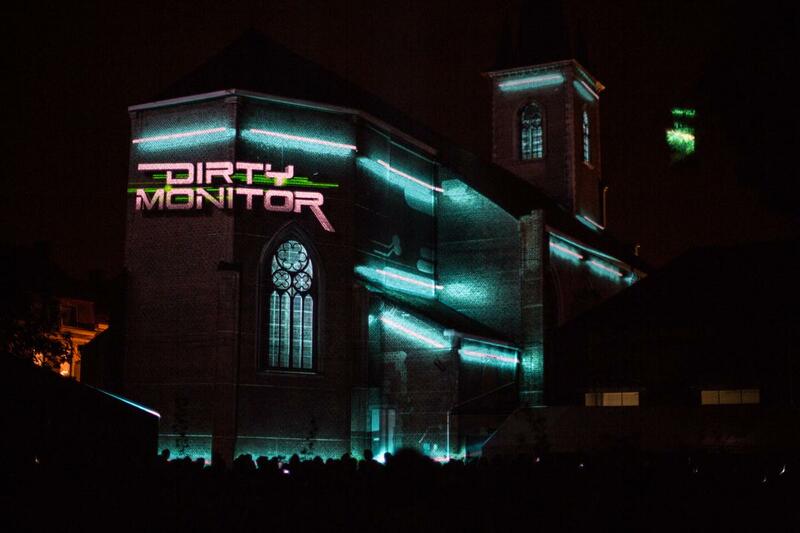 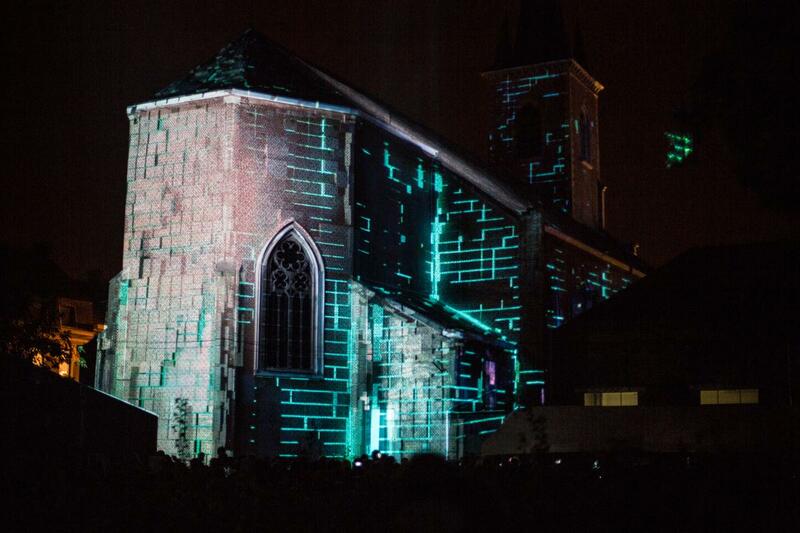 Our projection surface was the church located in the prolongation of the festival site. 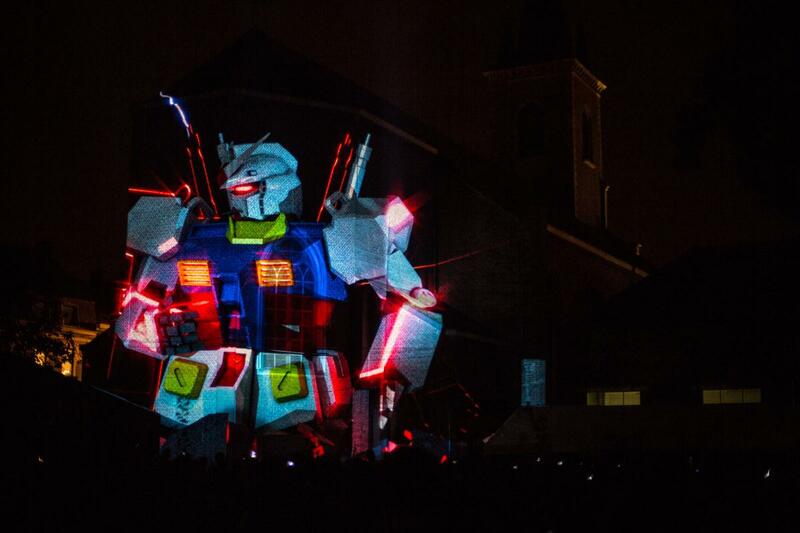 This edition was a great success gathering about 2000 people.